This article will contain spoilers for the first four seasons of HBO’s Game of Thrones. Spoilers! Just go watch the show or read the books if you haven’t. 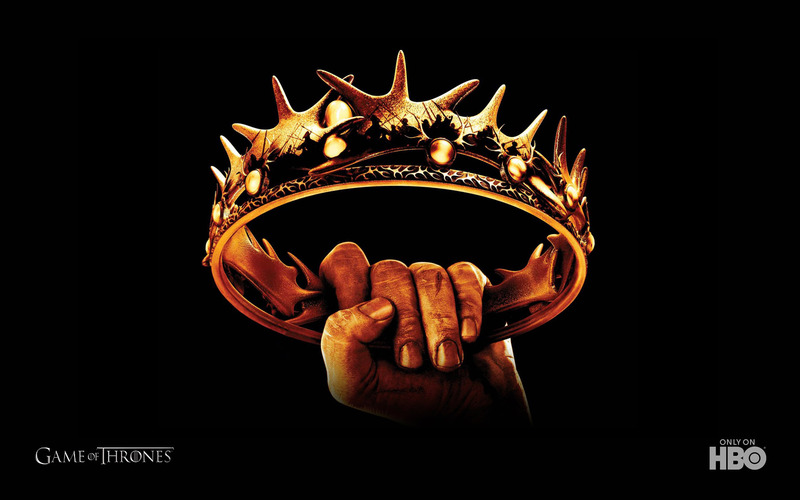 Game of Thrones generates a tremendous amount of attention from fans who recap the episodes, analyze its faithfulness as an adaptation, follow casting and production information, and basically keep the show relevant during the off-season. 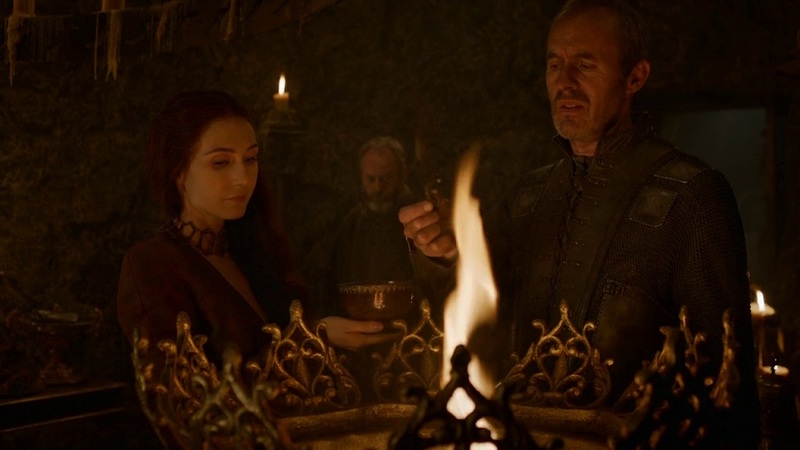 It’s also easy to find articles of a more academic bent, where experts talk about Westeros’ unusual weather patterns, or how it’s possible to have wine when grapes need specific seasonal changes, or how representative the society on the show is in regards to Europe’s medieval period. I thought it might be interesting to have a series of posts focusing on elements of the show from the perspective of a student of medieval history. To be clear: I’m not talking about the perspective of an academic with a degree in Medieval History. I’m talking about a college student hoping to pass a hypothetical medieval history course, which for some reason was studying A Song of Ice and Fire. Possibly because the Medieval History department needed to bump up student enrollment numbers or something. Just go with it. Look, I’m not really a Student of Medieval History, but I took a medieval history course in college once (I’m so old, the course was called “Last Thursday“) so that’s my credential. Historians and academics might disagree, but to pass these liberal arts courses, I found that I needed to know the historical figures just well enough. Like, who their father was, or who their children were… the battles they were in. A few notable political events. Those sorts of factoids. Before the exam, I’d dash a few of these facts down on index cards or something (possibly clay tablets, I’m old) memorize the facts and hope I remembered them well enough for the test. And hope I didn’t associate the facts from one figure with another. For example, it would really be embarrassing to confuse heroic and and straightforward Robb Stark with cowardly and delusional Joffrey Baratheon. Luckily, there’s a world of difference between the two. Robb: Father fought in the rebellion against the Mad King. Joffrey: Father* fought in the rebellion against the Mad King. Joffrey: Became king when his father died. Robb: Became king when his father died. Joffrey: Declared a usurper by Stannis Baratheon. Robb: Declared a usurper by Stannis Baratheon. Joffrey: His granddad saved the day by lifting the siege on the stronghold of King’s Landing. Robb: Saved the day by lifting the siege on his granddad’s stronghold, Riverrun. Joffrey: Created a rift in his domain by beheading a Northern lord. Robb: Created a rift in his domain by beheading a Northern lord. Robb: Broke off an arranged marriage to marry another, pawning off his first betrothed to his uncle. Joffrey: Broke off an arranged marriage to marry another, pawning off his first-betrothed to his uncle. Robb: Killed at a wedding, murdered by unreliable allies. Joffrey: Killed at a wedding, murdered by unreliable allies. Other than some subtle wordings on the Battles index card, Robb and Joffrey are just a subject/direct-object confusion away from being the same person. Luckily there aren’t any crazy rumors about Ned and Lyanna Stark. 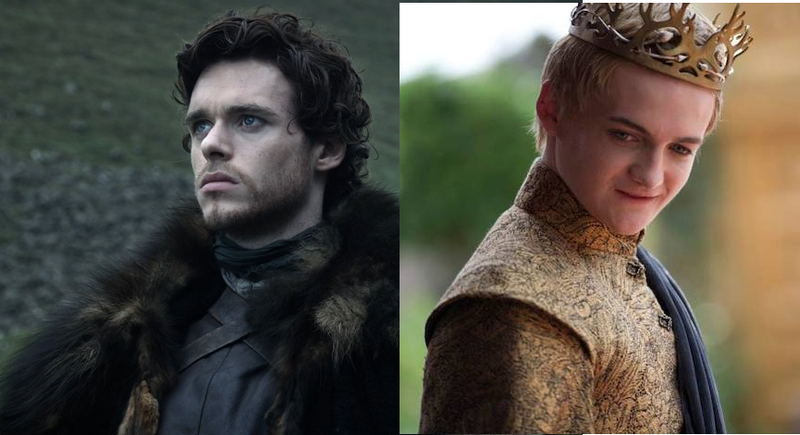 I’m not really saying that Robb and Joffrey are in any way similar. The human brain is wired to find patterns, and it’s not hard to see these comparisons over the contrasts. But these are the kind of relevant facts that are easy to recall for history exams. Just memorizing these facts aren’t going to give a complete picture of these two, despite their objectivity. For the essay part of this hypothetical exam, accounts of historians might be required to differentiate between Robb and Joffrey, should one need to resolve who was a wise leader and who was a tyrannical fool. But this isn’t foolproof, since it depends on who is being quoted. Imagine the Bolton and Karstark view of King Robb, the Young Wolf. For example, who is being described? The statement might certainly apply to young Robb Stark, but Maester Pycelle was talking about Joffrey. Madness, I know. But it does show the power of the historian to make or break kings. After Robert Baratheon’s death, there was a brief period of instability where several nobles declared kingship of either all or part of Westeros. And most ended up murdered. Neither Robb nor Joffrey lived long enough to really set a tone for their reigns, or do anything spectacular enough to merit much mention in the chronicles of the age. So we’re just left with the objective facts, showing both kings to be extremely similar. Other than just being an exercise in finding similarities between two characters who otherwise aren’t usually compared? Sure, I can probably make some relevant point. Martin’s work is notable for the moral shades of gray in many of the characters, and there is this oft-claimed rule that being a “good guy” is a short cut to death in the world of A Song of Ice and Fire. But the big picture storyline of Robb and Joffrey seems to contradict that assumption, since both kings’ journeys follow nearly identical paths. I can’t speak for future books, but although things seemed to be stacked against the “good guys” (whatever that means) things seem to be starting to balance out in the big picture. So, should you be taking a class in medieval history, try to dig deeper than I did into the lives and actions of the historical figures you’re studying, beyond the basic facts. I think it’s good to attempt to separate out the real world Robbs from Joffreys, if at all possible. Robb made mistakes, and I’m not entirely convinced that Joffrey is guilty of everything he’s been accused of. But that won’t be clear from a handful of index cards. I make no claims to the artwork, but some claims to the text (other than the quotes from Pycelle and Stannis.) So there. * Yes, yes, King Robert was not Joffrey’s biological father, but Joffrey’s claim to the throne was based on Robert’s belief that Joffrey was his son. If Ned can have secrets in regards to his acknowledged son Jon, then so can Cersei. Discuss! Poor Robb… Thanks for the feedback, it’s always appreciated when you stop by. When I get time, I’ll be going back over some of your other pages now that I have finished Series 3! 🙂 Thanks Denise, I hope you enjoy them, and I’m glad you’re caught up through Season Three. It seems to me that many characters get killed or maimed when they start to “love” or are in “loving” relationships, as in Robb, Lysa, Ned, Catelyn, Drogo, etc. I know this doesn’t apply to everyone, but just as some characters become happy, they get punished. 🙂 Thanks for the comment, and a thought-provoking one at that! If you’re right, Dolorous Edd should live forever, that guy’s never happy. I guess there is something to “the other shoe dropping” where someone’s all “hey, everything’s going my way. Oh, what’s that noise aaaaaiiieeeeeee….” type of event. Thank you again for dropping by, and for Following my blog, I appreciate it. Great (but pretty old) post! I love my history, and I often study it just for fun. I remember characters in history for their reasons and motivations, not necessarily their personalities. And it’s completely true what you say about what history would say about Joffrey and Robb; they’re both really unimportant in the grand scheme of things. HOWEVER, I can see Robb Stark becoming something of a symbol for the independence of the North, while Joffrey….. well, nothing there really. What did he do? Well win a couple of battles. But Robb will probably be remembered for bringing independence to the North for a short period of time. Totally agree! Unless the history is being as shallowly studied as I have constructed, Robb will definitely end up with a mythic larger than life folklore. He was getting that already in life, so in death, those Young Wolf magical stories should get a boost. But Robb never lost a battle! Whereas Joffrey never really attended one. Although history might claim him the winner of the Blackwater, and attribute all of Tyrion’s great ideas to him… except that the most likely person to be writing said history at this point would be Tyrion! It’s in military history where the two might seem different, anyway. Excellent point about Tyrion most likely being the one to write that history. If Tyrion has anything to say about it, Joffrey will certainly not be cast in a favorable light. Although, centuries later, Tyrion’s accounts of Joffrey might be viewed with skepticism, since Tyrion was found guilty of Joffrey’s murder. Oh that’s a good point. He is the unreliable narrator! Well, historian, anyway.